Jand Hanuman is an interesting place to visit. It has a beautiful temple of Lord Hanuman, which boasts of an 18-ft statue of Lord Hanuman (a Hindu deity) believed to have been made during the Mahabharata era. It is believed that Pandava’s came here. Bheem’s Ghanti (flour mill) is also one of the attractive thing here. 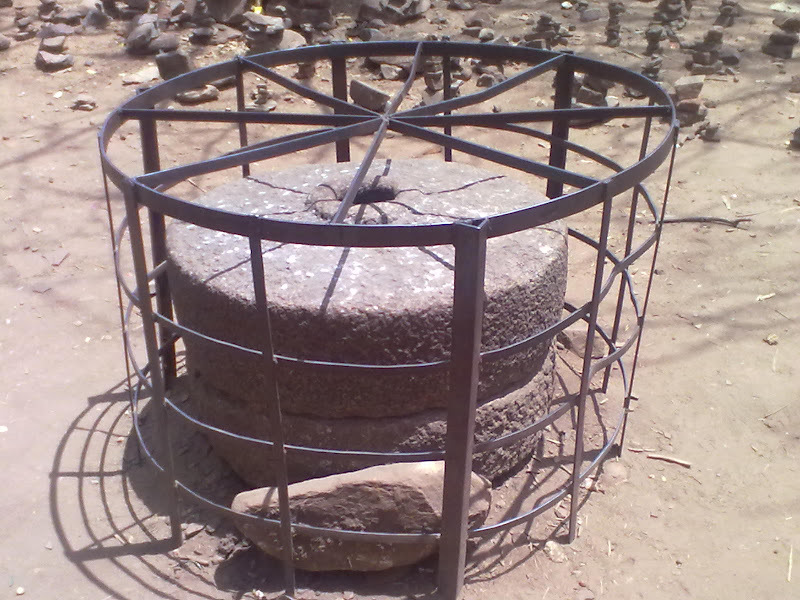 This flour mill is called the Bhima’s flour mill (Bhim ni ghanti). During the period of “vanvaas” “the Pandvas” came here and these are some signs of their presence at here. Another thing to see here is the “Well of Arjuna”. One can also see small houses made from stones ! It is said that, if one builds an imaginary house with the help of stones lying around. If this house remains stable, you get a similar house in your real life. These type of stories lie around temples since ages ! Jand Hanuman is ~75 KMs from City.